There are more universities in Taiwan have incorporated e-learning as the main teaching system. However, it is a critical issue to understand learners' attitudes toward the system. Therefore, the purpose of this research was to test an e-learning attitudes scale on Taiwan Ming Chuan University (TMCU) students using the Moodle system in Taiwan. The study group comprised of 324 students and the overall scale and subscale proved to be highly reliable. The questionnaire was taken from Liaw (2008), and approved by them in 2009. After factor analysis, five factors were extracted from 26 items: Perceived usefulness & behavioral intention (8 items), e-learning effectiveness (5 items), e-learning system satisfaction (5 items), perceived self-efficacy & satisfaction (5 items), and multimedia instruction (3 items). Through application of a secondary confirmatory factor analysis (CFA) test, the construct validity of the scale was empirically constructed. The use of information and internet technologies as teaching and learning tools is rapidly expanding in the field of education. Indeed, electronic learning (e-learning) is proving to be one of the most popular learning environments of the information age and is currently receiving an enormous amount of attention across the globe. Essentially, e-learning is a way of teaching and learning quite distinct from traditional learning (Liaw, Huang, & Chen, 2007a) in that it uses network technologies to create, foster, deliver, and facilitate learning, anytime and anywhere. The benefits of e-learning have been discussed in many articles (Raab, Ellis, & Abdon, 2002; Bouhnik & Marcus, 2006; Liaw, Huang, & Chen, 2007b; Shotsberger, 2000; Liaw, 2008), but fundamentally four main advantages have been identified: It gives learners the freedom to decide when lessons are taken, it isn’t dependent on the time constraints of the instructor, it allows the freedom to express thoughts and ask questions, and it makes course materials available on demand (Bouhnik & Marcus, 2006). The advent of information technologies to universities has improved the teaching-learning process. Students can increase their learning skills using information technology. Those using the Moodle platform regularly seem to get better grades than those who rarely or never use it. 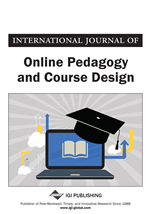 Thanks to Moodle-type platforms, university professors have gone from the conventional publishing of documents in HTML or PDF on their personal web page to designing and developing training courses or programs that combine the offer of an online tutorial with classroom sessions between the students and the teaching staff. Distance and virtual educational courses or programs, supporting communication exclusively between the teacher and students using data transmission networks, have also been developed. As a result, the learning–teaching process has improved notably (Ciudad, 2010; Escobar-Rodriguez & Monge-Lozano, 2012). Understanding learners’ attitudes toward e-learning is critical if it is to become both more effective and widely used (Liaw, 2008). Therefore, the purpose of this research is to test an e-learning attitudes scale on Taiwan Ming Chuan University (TMCU) students in Taiwan who are using the Moodle Digital Teaching e-learning system (http://moodle.mcu.edu.tw/). Moodle is a Course Management System (CMS), also known as a Learning Management System (LMS) or a Virtual Learning Environment (VLE), which is a free web application that educators can use to create effective online learning sites (Uribe-Tirado, Melgar-Estrada, & Bornacelly-Castro, 2007; Moodle, 2012). This system was officially introduced in 2007 and as such has become a crucial part of course management at TMCU. Indeed, the university even holds a Top 50 teachers’ competition each semester (Figure 1). The current standing of the TMCU Moodle system is 5th in the world (Top 10 sites by courses), with a total of 75,882 users and 49,037 courses (Moodle Statistics, 2012).